$9 for $30 Worth of Custom Invitations, Announcements & More! 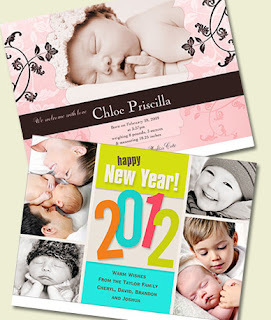 Right now at Mamasource, you can get $30 worth of custom invitations, announcements and photo cards for as low as $9.00! The deal is on sale for $10, but if this is your first Mamasource purchase, you can use the code JAN10 to save 10%, making it $9.00. NOTE: Shipping is not included and starts at $8.